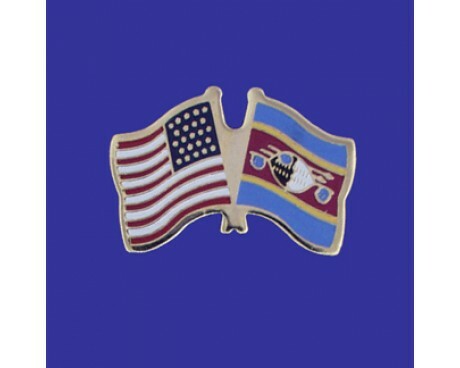 The flag of Swaziland is one of the most unique and distinctive flags in the world. It is dominated by symbols of the country's native culture, which allows it to serve as a clear representation of the country's rejection of colonial influence in the modern world. 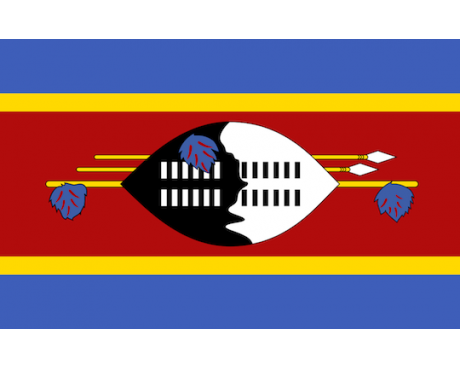 The Swaziland flag is made up of five horizontal stripes. A central stripe of red dominates the flag. It is flanked by two smaller stripes of yellow which are followed by medium stripes of blue. The central stripe includes a large black and white shield in the traditional style of Swaziland that is placed in front of two spears and a staff that is decorated with tassels. The blue stripes are intended as symbols of peace, while the yellow stripes represent the mineral wealth of Swaziland and the red stripe stands for the battles that the people of Swaziland have fought for their nation. The shield, staff, and spears are symbols of the nation and its traditional culture. They are the traditional weapons of the nation's people, which allows them to represent their culture and the defense of the nation. The mingling of black and white on the shield allows it to represent the peaceful coexistence of the different races even as it emphasizes the country's traditional culture. 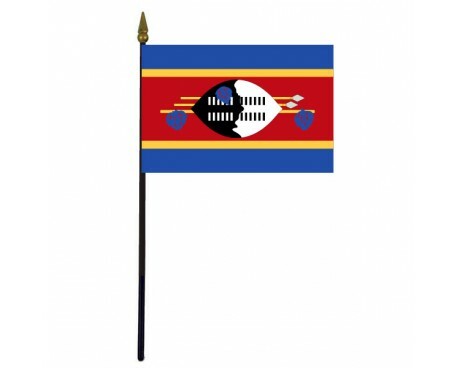 Swaziland is one of the few nations in Africa that flew a flag of its own prior to the colonial period. The original Swaziland flag came into use in 1894. It had a field of vertical stripes that alternated between a light and a dark shade of blue. A black and white shield that is similar to the shield on the modern flag was placed in the center of the field. The flag fell out of use in 1902 as part of the nation's transition to a British protectorate. It flew the Union Jack while it remained a protectorate and abandoned it when it gained full independence in 1968. 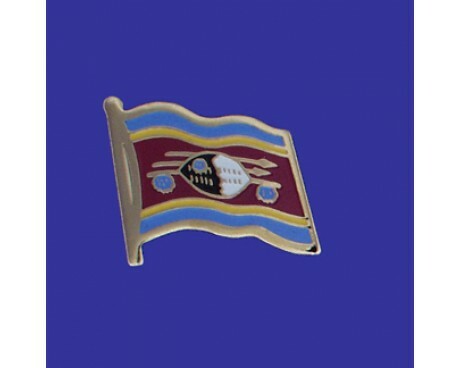 The modern flag of Swaziland came into use at that time, and it has represented the nation ever since.